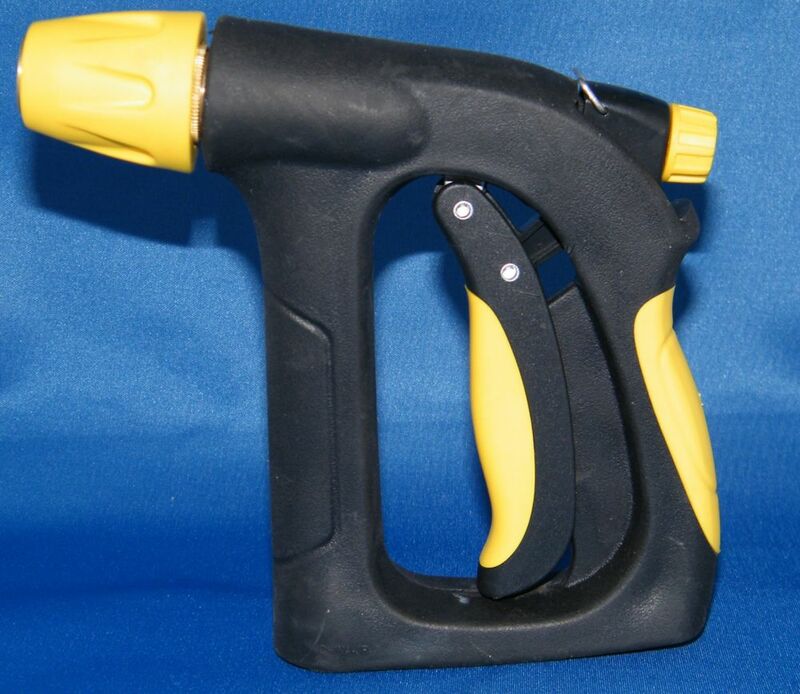 Ergo D-grip contractor adjustable spray nozzle. Metal heavy duty die cast zinc body construction with soft rubber coating. This full-size nozzle is perfect for most watering needs. By simply squeezing the trigger you can easily adjust the spray from a fine mist to a blasting flow. The classic metal design is made to last season after season. Ergo D-Grip Nozzle Ergo D-grip contractor adjustable spray nozzle. Metal heavy duty die cast zinc body construction with soft rubber coating.